At Jolie Concierge, we recognize the importance of protecting the personal data of our customers (e.g. identification data, financial information such as, for instance, credit card numbers) and the information of the users of our Website(s). For this reason Jolie Concierge adopts specific policies and security measures to comply with applicable data protection laws and to protect your personal data. “Cookies” are text-only pieces of information that user’s device (computer, tablet or mobile) downloads when it visits a website. They allow the site to “remember” your computer, but not specifically who is using it, and improve your user experience. Cookies allow the Site to remember important information that will make your use of the site more convenient. A cookie will typically contain the name of the domain from which the cookie has come, the “lifetime” of the cookie, and a randomly generated unique number or other value. Certain cookies will be used on the Site regardless of whether you are logged in to your account or not. Persistent Cookies remain in the cookie file of your browser for much longer (though how long will depend on the lifetime of the specific cookie). When we use session cookies to track the total number of visitors to our Site, this is done on an anonymous aggregate basis (as cookies do not in themselves carry any personal data). (ii) those of other sites or web servers (so-called “third party cookies”). Cookies can also be classified into categories according to the purpose for which they are used: some provide improved browsing of the site by saving the users choices in relation to specific configurations (so-called “technical cookies”), whilst others are used to track the navigation activities of the user and send advertising and/or offer services which meet the preferences of the same (so-called “profiling cookies”). The length of time a cookie will stay on your browsing device depends on whether it is a “persistent” or “session” cookie. Session cookies will only stay on your device until you stop browsing. Persistent cookies stay on your browsing device until they expire or are deleted (i.e. after you have finished browsing). When you access our Services, we or companies we work with may place cookies on your computer or other device. These technologies help us better understand user behavior, and inform us about which parts of our websites people have visited. Cookies are used generally for different purposes, such as letting the user navigate between pages efficiently, implementing the user’s preferences and generally improving their browsing experience, by customizing the website according to their navigation and user profile. They can also help ensure that the adverts that the user sees online are more relevant to them and their interests. A) Session cookies, which only last for the duration of a browsing session. They are usually used to facilitate the access to the services on our website, to authenticate you when you are a registered member, and to remember what a user has put in their shopping basket. C) First party cookies, which are supplied by the website you are visiting, JOLIECONCIERGE.IT and can be read only by such site. For example the cookies that maintain product in the shopping bag of a user while the user is still surfing the site. First party cookies can be either session or permanent cookies. D) Third party cookies, which are meant to collect data on an anonymous way, for example analytics information, including browsing statistics. Other third party cookies are meant to track our visitors’ response to our online promotional activities. This technology uses information about your visits to our website and third parties’ sites on which we advertise, to deliver relevant advertisements. Also third party cookies can be either session or permanent cookies. These cookies, that include advertising and targeting cookies, are used by JOLIECONCIERGE, our advertising providers and/or third parties to offer you a customised browsing experience by delivering you advertisements that are relevant to you and your interests on third party websites. Cookies are used to identify your preferences and analyse your online interactions and transactions with us. 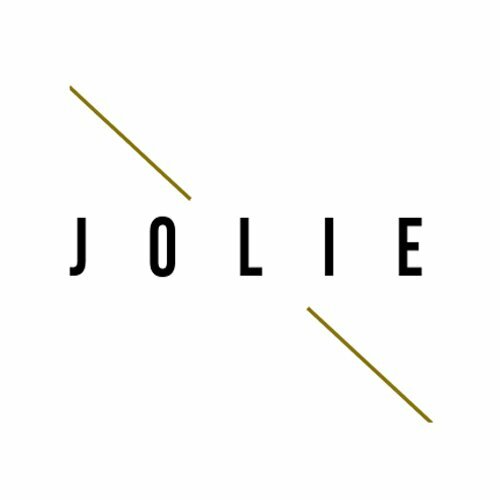 This information is exclusively for the benefit of JOLIECONCIERGE and will not be shared with any third party. At any time you can manage your preferences for advertising or targeting cookies through your browser, or by enabling/disable all third party cookies follow the links in the chapter below “Third-Party Cookies”. It is possible that some cookies are placed on your device when browsing our Site which are not directly controlled and managed by the Data Controller. This happens, for instance, if the user visits a page that contains third party website content. Third party cookies are required to view customised advertising on the Site and other websites, and are based on the browsing activities of each individual user. This type of cookies may also be used by third parties to display their products and services on the Site. These cookies, and the purposes for which they are used outside the Site, are the direct and exclusive responsibility of the third party that places them on the user’s device. JOLIE CONCIERGE is Data Controller exclusively for the first party cookies installed on the Site. The following cookie table lists a selection of the third party cookies used on JOLIE CONCIERGE. Although we may update this list periodically, please be advised that the names of cookies, pixels and other technologies are subject to change. You can exercise your preferences in relation to cookies served on our Sites by taking the steps outlined below. To opt-out of third-party advertising networks and similar entities that use targeting/advertising cookies, go to http://www.aboutads.info/choices. Once you click the link, you may choose to opt-out of such advertising from all participating advertising companies or only advertising provided by specific advertising entities. For more information about third-party advertising networks and similar entities that use these technologies, please see http://www.aboutads.info/consumers. For information on Criteo cookies see http://www.criteo.com/en/privacy-policy. For information on the management of privacy by Criteo see http://www.criteo.com/en/privacy-policy. If you do not want Flash Cookies stored on your computer, you can adjust the settings of your Flash player to block Flash Cookies storage using the tools contained in the website storage settings panel. You can also control Flash Cookies by going to the global storage settings panel and following the instructions. Setting the Flash Player to restrict or limit acceptance of Flash Cookies may reduce or impede the functionality of some Flash applications, including, potentially, Flash applications used in connection with our services or online content. Please be aware that the browser’s tools to manage cookies will not remove Flash cookies. You have the right to decide whether to accept cookies. You may opt-out of Google Analytics for Display Advertisers including AdWords and opt-out of customized Google Display Network ads by visiting the Google Ads Preferences Manager. To provide website visitors more choice on how their data is collected by Google Analytics, Google has developed an Opt-out Browser add-on, which is available by visiting Google Analytics Opt-out Browser Add-on, to enable you to opt-out of Google’s programs. For further information on cookies , you may learn how to disable third party cookies and advertising or targeting cookies on your computer by checking http://youronlinechoices.com/ site to obtain instructions on how to eliminate or manage cookies according to the browser used and to select the settings to be applied to third party cookies. Please note that if you disable completely cookies from the browser, then it is possible that some parts of our website will not function properly such as the normal surfing of the site, the purchase activity, and finally you may also lose any personalized activity. You can find more information about how to change your browser cookie settings at http://www.allaboutcookies.org. We will promptly acknowledge and investigate any concerns you may have about the way we manage your personal data. The legislation (including article 7 of the Italian Data Protection Code) protects your rights: you are entitled to ask us if we hold your data, what details of yours we hold, where we have collected them, how and why we hold or process them, to whom we have disclosed or may disclose them and details of the controller and/or of its processors. If you are able to establish that your data is not accurate, complete and up-to-date, JOLIE CONCIERGE must take reasonable steps to correct the data. You are also entitled to ask us to delete, anonymize or block the processing of your data in case of unlawful processing and, under certain legitimate circumstances (e.g. for relational marketing activities), you can also ask to stop processing your data, including opting out, free of charge, from any of our targeting activities if you ever opted-in. If you have subscribed or agreed to receive our marketing communications you can opt-out at any time, free of charge, requesting the deletion of your data from the mailing list by following the unsubscribe link that you will find in any electronic communication or by writing to the Customer Relations Department JOLIE CONCIERGE. • in case of any request related to the processing of your data connected with your online purchase(s), the Jolie Concierge entity offering the online shop where your purchase has been made (you can identify it under the General Conditions of Sale and the corporate information available in the local section of our Website). The original, legally binding version of this document is written in Italian, and it is translated into English for the courtesy of our English-speaking users. If there are any discrepancies between the Italian version and a translated version, the Italian version supersedes the translated version. © 2018 Jolie Concierge- All Right Reserved - P.IVA 14664031003.